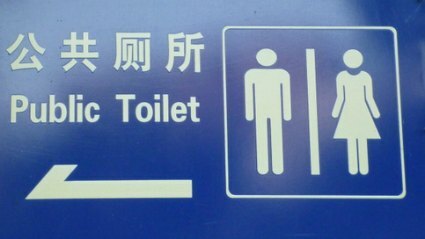 In some of the most popular tourist attractions people wait for hours to use public toilets. Long wait times and lack of hygienic conditions have been a problem for a long time. But it seems that finally the government has recognized this problem and efforts are being made to ease the situation. There is underway, a project to build over 30,000 new toilets at some of the most popular tourist attractions and to renovate some 25,000 existing facilities by the end of 2017. Always bring toilet paper with you. Some places have one big roll at the entrance, but this is really hit or miss. Be safe. Bring hand sanitizer (the waterless antibacterial kind) and baby wipes also come in handy. A smelly bathroom is the rule more than the exception. It's amazing how long you can hold your breath when you have to... One tip we found helpful at one of the travel forums, was to bring mint or some other strong smelling chapstick and apply some right under the nose to sort of camouflage the stink. 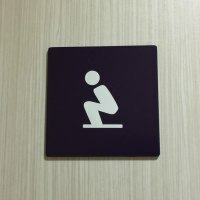 Even if you stick to the rule of using that clean bathroom at the hotels or restaurants, eventually you will have an encounter with the dreaded "squat toilet", yes, the "hole on the ground" one. The kids will take their cues from you so try to play it cool with the squatty potty. If this is your first time confronting one of these contraptions, try to get some practice at home before your trip. Stand with your feet apart, facing away from the hole. The feet go in the "grids" on both sides of the toilet. Push pants and underwear down, a bit past your knees. Skirts are easier, just lift and keep away. 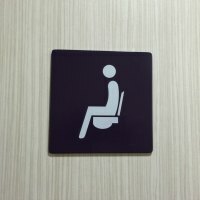 Sometimes if you go to the very end of the row, you might find the one "sit down" toilet right at the last spot, so check and you might get lucky.